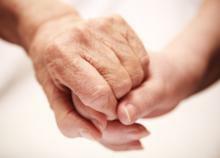 At the Pelican Waters Family Doctors, Aged Care is a clinical area to which we devote significant attention. General Practitioners at the Pelican Waters Family Doctors are skilled in assessing and treating many of the common clinical conditions that occur in the aging population including ischaemic heart disease, diabetes, hypertension, arthritis, chronic obstructive airways disease, kidney disease and cerebrovascular disease. A number of the doctors in the practice care for residents in the local aged care hostels and nursing homes. With a common and genuine concern for the community and its mature residents, Pelican Waters Family Doctors provide quality of care and service provision to all older Queenslanders on the Sunshine Coast. Older Queenslander’s may receive assistance from a variety of programs and a number of services for the aged. Pelican Waters Family Doctors doctor’s will advise, answer questions and provide information regarding these different types of services or programs without breaching confidentiality or privacy. With your best interest and health at heart, and your history on-hand, the doctor’s at Pelican Waters Family Doctors are the best people to see for aged care. Make the most of your mature years; make an appointment today to see one of our friendly practitioners.